Partly cloudy. High 89F. Winds E at 5 to 10 mph.. Partly to mostly cloudy. Low 69F. Winds ENE at 5 to 10 mph. 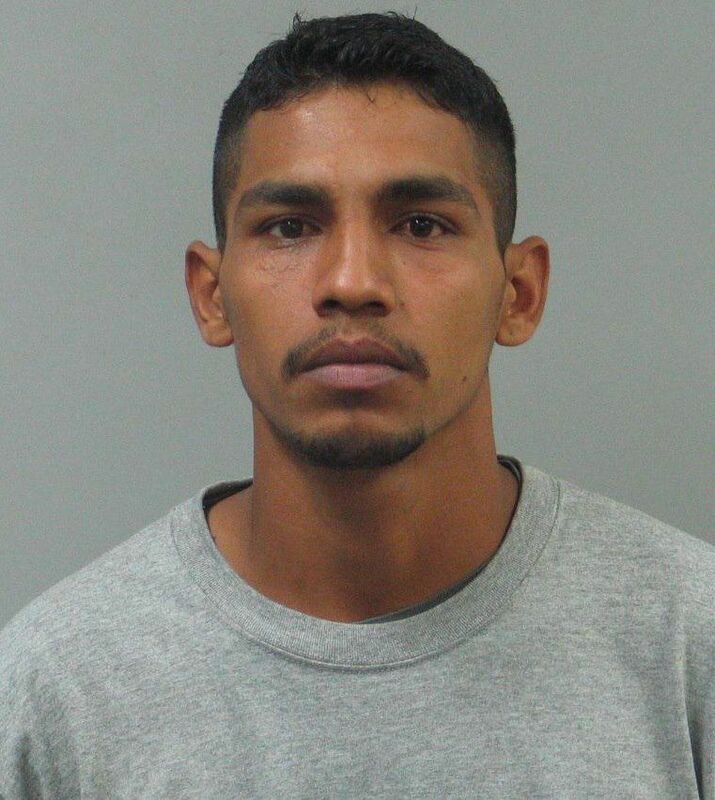 Irian Ochoa-Valdez, of Hazelwood, was charged with murder in connection with a home invasion in St. Charles County. ST. CHARLES COUNTY • Police are searching for a homicide suspect accused of breaking into a home here Sunday and fatally shooting a man. Police released a photo Friday of Irian Ochoa-Valdez, 29, of the 800 block of Lightwood Drive in Hazelwood. Ochoa-Valdez was charged with first-degree murder in the killing of Alberto Zayola, 29, on Jamaica Drive. Court documents said the killing was “due to a romantic relationship and infidelity,” but did not give more detail about the potential motive. Police said Ochoa-Valdez and an accomplice, Eulices Cervantes-Salmeron, shot Zayola, took his body to Overland and dumped it in the back yard of a vacant home. Cervantes-Salmeron, 20, was charged with first-degree murder and was being held in the St. Charles County Jail Friday night with bail set at $1 million. A court document filed by St. Charles County police Tuesday said Valdez was deported from the United States in 2014 for a violent crime and "again has unlawfully re-entered the country." His home country wasn't cited. Police said Ochoa-Valdez should be considered armed and dangerous. Officials ask anyone with information to call 911 or the St. Charles County Police Department at 636-949-3000. Get email notifications on Nassim Benchaabane daily! Whenever Nassim Benchaabane posts new content, you'll get an email delivered to your inbox with a link. Get breaking news delivered to your inbox as it develops. Enter now for your chance to be a big shot at The ’Burbs Music & Arts Festival! Complete your summer RIDE with gear from Doc’s Harley Davidson!